The GearWrench Engine Cylinder Hone removes glaze from engine cylinders from 2'' to 7'' (51mm to 177mm) in diameter, can adjust spring tension for positive cutting action and set diameter with spread limiter, 3'' Replacement Stones (Medium Grit)- No 240. 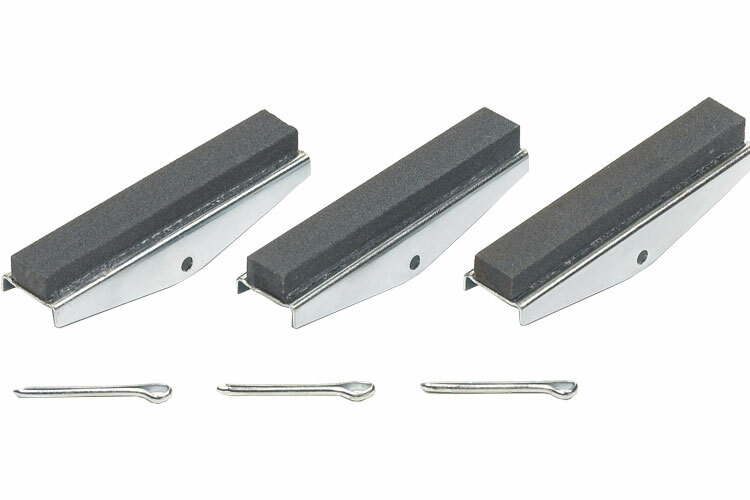 The 3157 3'' Replacement Stones - (Medium Grit) No 240 is one of thousands of quality tooling products available from MRO Tools. Please browse GearWrench Piston Service for tools similar to the 3157 3'' Replacement Stones - (Medium Grit) No 240. 3157 3'' Replacement Stones - (Medium Grit) No 240 description summary: GearWrench 3'' replacement stones. Medium Grit No. 240 Quantity discounts may be available for the 3157 3'' Replacement Stones - (Medium Grit) No 240. Please contact MRO Tools for details.